The kids in the Harry Potter books did a lot of crazy stuff, like killing giant snakes and overthrowing corrupt magical governments, but if we were to guess which thing college students would want to emulate, our first guess wouldn’t be playing Quidditch. Our first guess would probably be sneaking out of their magical school at night and getting butterbeers in the next town over, like we used to do. Apparently we’re a bit out of touch, however, because a film distribution company called Bond/360 is actually making a documentary about people in real life playing J.K. Rowling’s fictional flying broomstick-based sport. This comes via Deadline, which reports that the film—awesomely titled Mudbloods—will follow “the resilient underdogs of the UCLA Quidditch team as they battle their way to the Fifth Annual Quidditch World Cup in New York City.” So not only is Quidditch popular enough to warrant at least five annual World Cups, but some people are good enough at it to make one team the “underdogs.” How would it feel to be the worst team at a made-up sport? We’d explain what Quidditch is and how it works, but we don’t really have the space for that. Basically, it’s rugby with multiple different balls, and you play it while flying through the air on a broomstick. 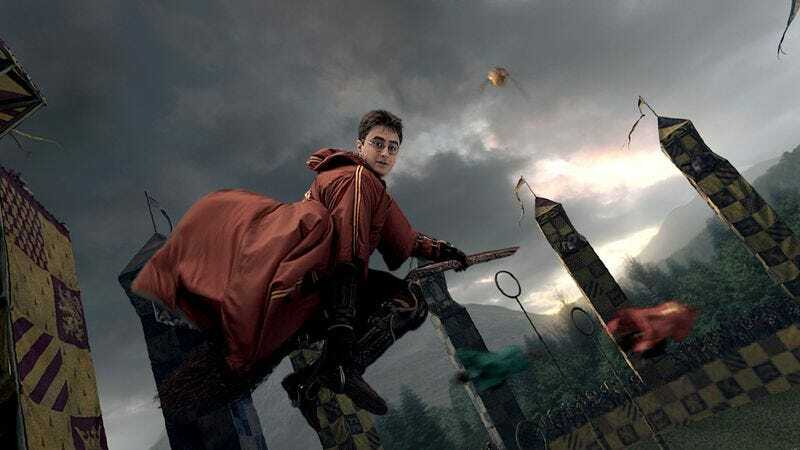 The real-life variant, dubbed “Muggle quidditch,” probably doesn’t involve any flying through the air, but we imagine the documentary will cover that. Mudbloods will be in theaters and VOD services in October.